You know that finding the right rugs and carpeting can transform the look of any room in your home. But you also know that treating a carpet stain can be an expensive, time-consuming, and seriously frustrating process. 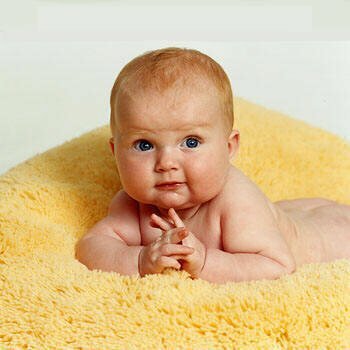 Don’t let the fear of a red wine stain or a few patches of dirt tracked in by your children or pets prevent you from installing the carpeting of your dreams. Instead, keep on reading this post. In it, we’re telling you some of the best carpet stain remover solutions that you can do entirely on your own. Get ready to learn how to remove stains from carpet with surprisingly easy DIY hacks and tricks. The best carpet stain remover? The very same thing that helps to lift those tough stains out of some of your favorite dishes and plates. Many people don’t realize that standard dishwashing soap (always go for clear, not colorful, soap) is an effective carpet stain remover. In a small container, blend up about 1/4 of a teaspoon of your dishwashing soap with one cup of room temperature water. Then, grab a rag or paper towel and gently dab the solution on the stain. Leave it for about twenty minutes, and then gently scrub off with a damp toothbrush if the stain persists. Or, simply dab up the solution with a wet rag. You can also try mixing up one part vinegar for every two parts of water, and repeating the process exactly as you did above. Of course, you’ll need to think about how you can clean your natural fiber carpets a bit differently. You don’t want to risk damaging the fibers or colors in the process of getting out an especially tough stain. This is why it’s best to look for DIY, naturally-based solutions to all of your stain problems. Start by grabbing about one tablespoon of household ammonia, and then mix that with about 1/2 of a cup of warm — never boiling — water. We strongly recommend that you do a patch test first, to ensure that this mixture doesn’t damage your carpet in any way. Leave it on for about ten to fifteen minutes, and then gently rinse it off with a wet paper towel. It’s no secret that baking soda is one of the best pre-treating agents available today. Plus, you certainly can’t beat the price! Grab a clean, empty spray bottle and get ready to get to work. Combine about 1/2 of a teaspoon of clear dish soap, 1/2 a cup of white vinegar, and one cup of water in the spray bottle. Stir those three ingredients together first. Then, add in about 1/2 of a teaspoon of baking soda, and mix it up slowly in the bottle. Spray it on the stain, let sit for about half an hour, and watch that stain magically disappear! If you have a horrible pet stain on your hand? Don’t panic — baking soda will once again be your carpet stain remover go-to ingredient. Mix up the juice from about half of a squeezed lemon, white vinegar, and some clear dishwashing liquid. Add in about 1/2 of a teaspoon of baking soda, and mix until a paste is created. Put the paste on the stain using a washcloth or paper towel, let it soak until dried, and then wipe it up. When it comes to an especially dirty carpet or stubborn stain, sometimes, you need to be able to think outside of the box. 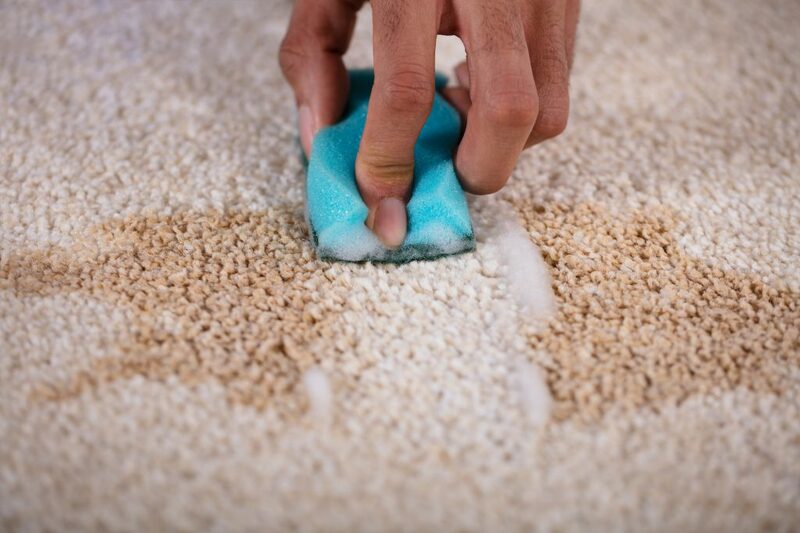 You certainly might be surprised to learn that some of the carpet stain removal remedies in this section work, but we promise you that they’re effective. For example, while we all love drinking beer, did you know it can also be used to get a stain out of your carpet? Just gently rub in a few teaspoons, let it sit for about two minutes, and watch as the stain vanishes before your eyes. If it doesn’t work the first time, repeat it for a second or third. You can also use a meat tenderizer to get the job done. Mix the same amount of meat tenderizer and cold water in a container. Using a cloth, apply the solution to the stain. For this one, you’ll need to wait about a half an hour to see the kinds of results that you want. Use a sponge and cold water to remove the solution after that. We’re certain that you’ll be truly amazed by the results you’ll get! We hope that this post has helped to introduce you to some of the most effective homemade carpet stain remover solutions and hacks that should help you to tackle almost any stain. Of course sometimes, no matter how hard you try, you’ll inevitably encounter a stain that just refuses to budge. When that happens, give the DIY solutions a rest and get in touch with our professional carpet stain remover service instead. Whether you need your oriental rug or wall-to-wall carpeting cleaned, we have the experience to get the job done correctly. We can also help to get out pesky pet stain odors, clean your upholstery, and even assist you with de-flea and de-tick floor treatments. Get in touch with us to schedule your appointment with us as soon as possible. I couldn’t resist commenting. Exceptionally well written! I’ll hold of your rss feed as I can not find your e-mail subscription hyperlink or newsletter service. Do you’ve any? Kindly let me know so that I may subscribe. I have read this post and if I could I want to suggest some interesting things or tips. Perhaps you can write your next articles referring to this article.